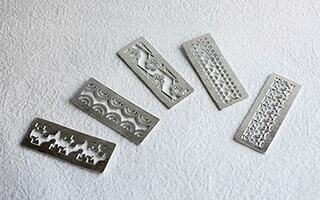 Nousaku is a famous brand of casting in Takaoka, Toyama prefecture, Japan. 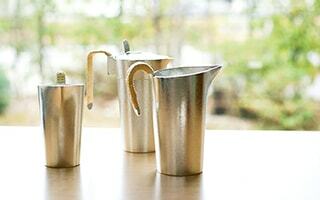 This brand is famous for stylish tableware made of tin or brass. 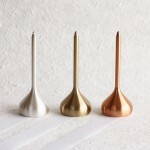 Nousaku won fame as a casting brand with the brass wind chime series. The brass wind chime series, “Takaoka brass wind chime” is characterized by its natural texture of metal, modern design, and clear sound. Buyers in Paris, Italy, or Shanghai pay attention to this wind bell. 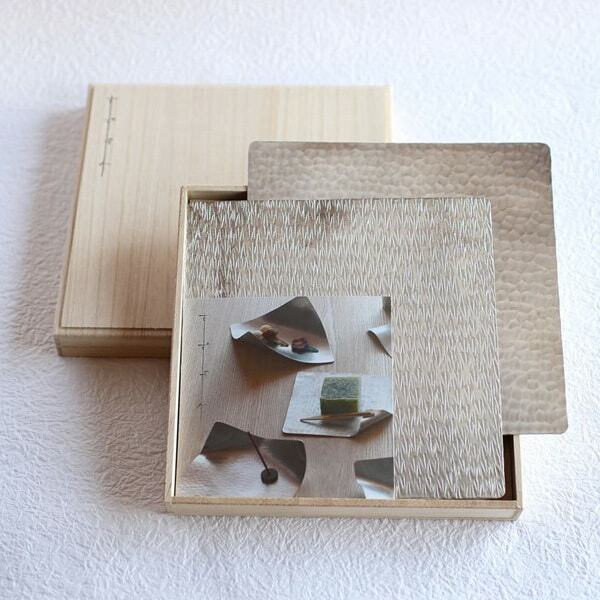 Now, this handmade masterpiece represents the interior crafts of Japan. 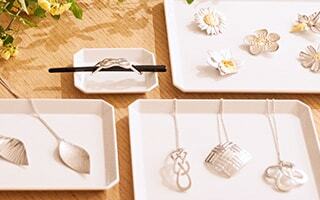 Why Nousaku, a casting brand made a wind chime? The secret story of the birth of wind chime is very dramatic. 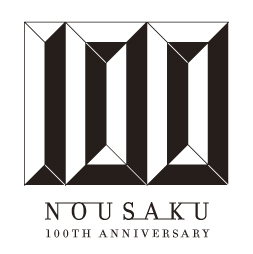 Since 2000, Nousaku has embarked on the development of new products. 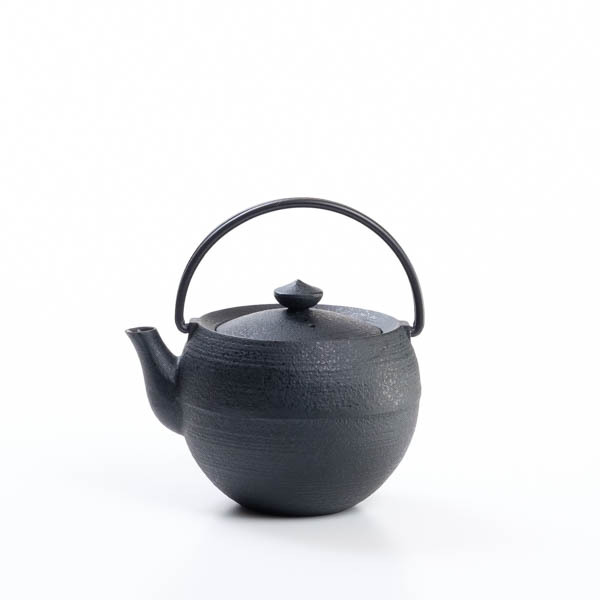 Until then, Nousaku has developed the skill of making artwork, utensils for the tea ceremony, and Buddhist alter fittings. 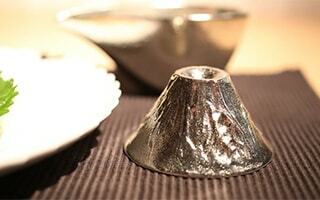 The representative of Nousaku noted the deep and clear sound of “orin”, a Buddhist bell. 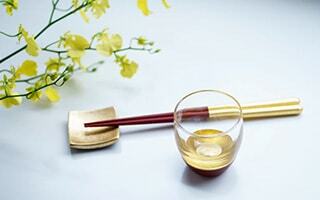 Then, Nousaku decided to produce a bell made of brass. 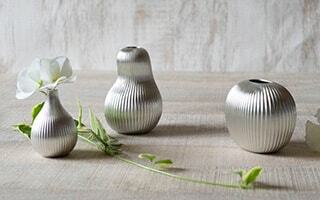 The transparent sound of brass bell attracted by a famous interior shop. 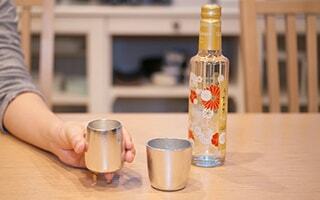 Then the brass bell has been sold all over Japan. 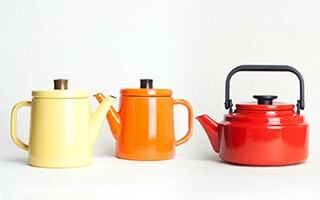 However, at the beginning, the bell did not sell well since Japanese people have less chance to use bells. 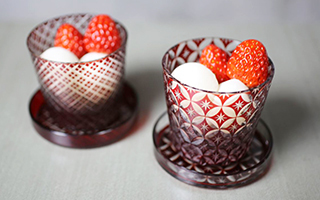 The idea was from a salesperson of interior shop. “Then, how about making wind chime? Japanese are more familiar with wind chime.” In this way, the brass bell became to the brass wind chime, a masterpiece of Nousaku. 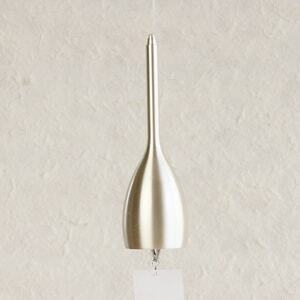 Present stylish wind chime was born with a strip of paper hang with a thread. Since the former form was bell, the wind chime of Nousaku has a long handle. 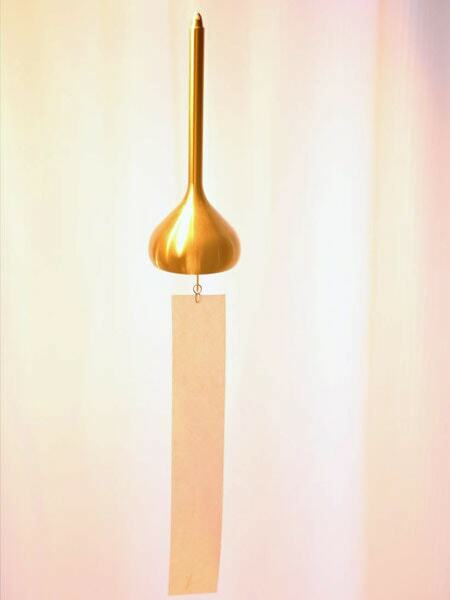 A fateful encounter of traditional skill with modern lifestyle produced this brass wind chime. This reborn wind bell got an explosive hit. 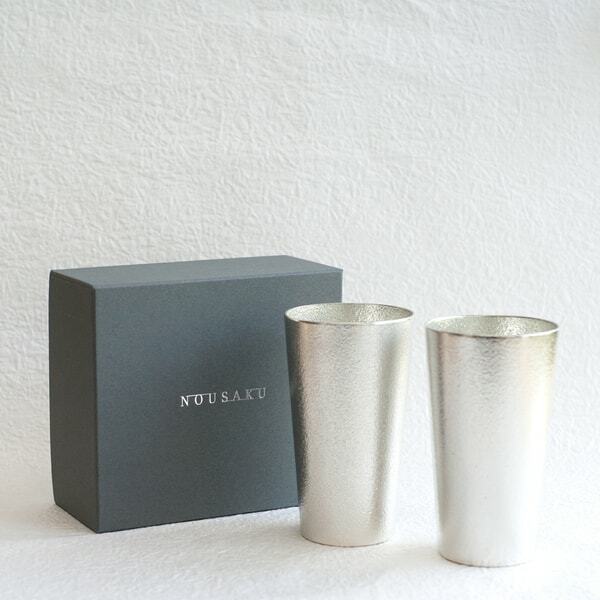 Numerous designers and creators note that this product is the masterpiece of Nousaku. 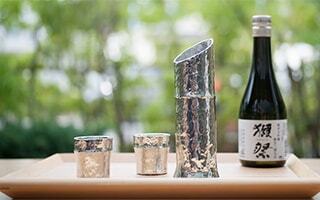 The sound of wind chime like “clink-clink” brings us the real feeling of Japanese summer. 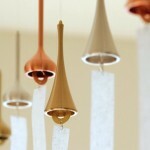 The most different point between glass wind chime and brass wind chime is the sound. Needless to say, the material and design are different. However, the unique sound of brass has fascinated people. The glass wind chime sounds like “clink-clink.” On the other hand, the brass wind chime sounds like “jingle.” Brass makes high and transparent sound. 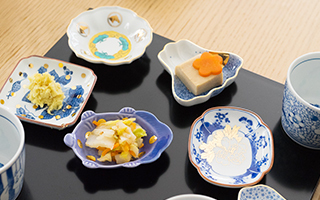 The casting made in Takaoka, Toyama prefecture in Japan has long history as 400 years. 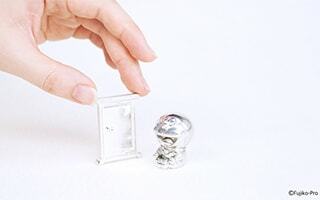 The Takaoka casting have produced Buddhist altar fittings. 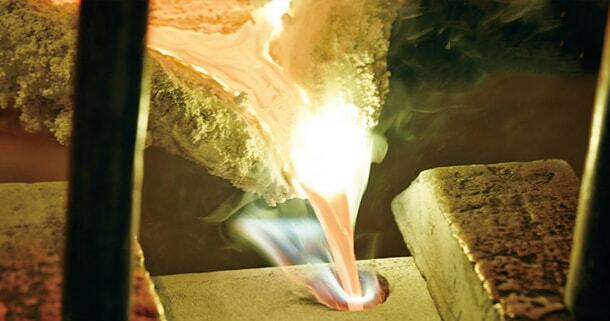 This skill of long history can make it possible to produce the beautiful sound of Takaoka brass wind chime. 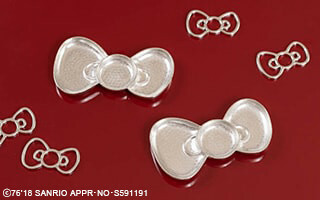 We believe that everyone will be surprised to hear the transparent sound. 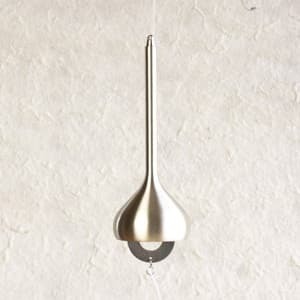 The wind chime of Nousaku is characterized by smooth texture of brass, mat gloss by hairline finish, and polished simple design. 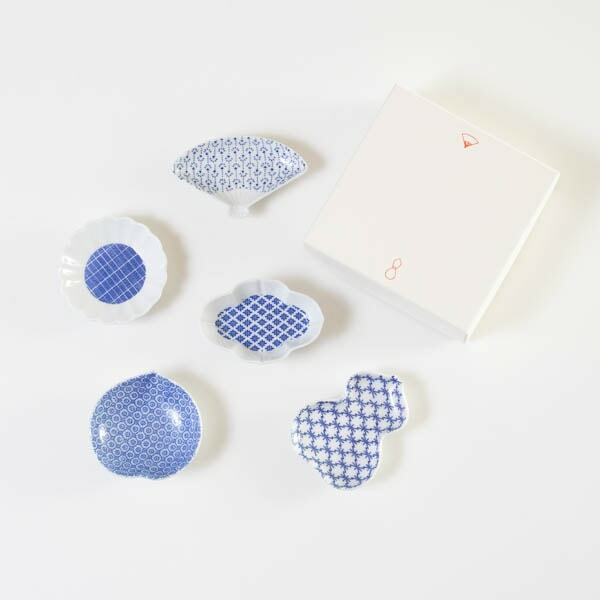 Skilled craftsmen gave each product hairline finishing with pottery wheel. 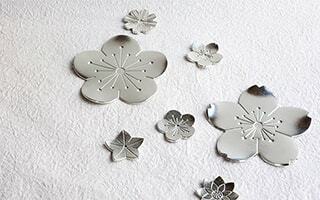 All craftsmen have cultivated the Japanese traditional casting skill. 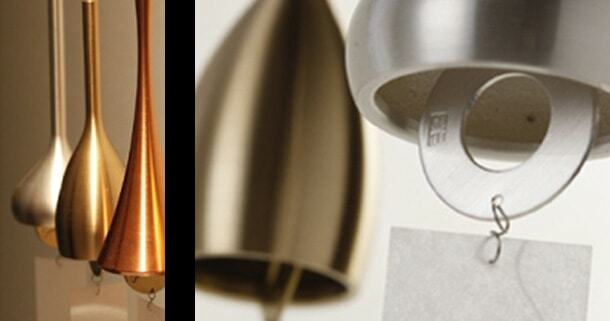 We offer three colors of brass wind bell, gold, silver, and pink gold. 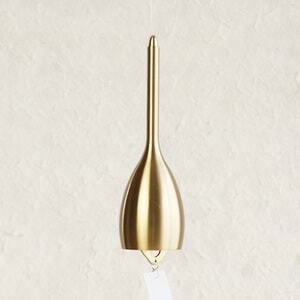 Gold wind chime is coated brass with transparent urethane. Silver one is done with silver, and pink gold is done with copper. 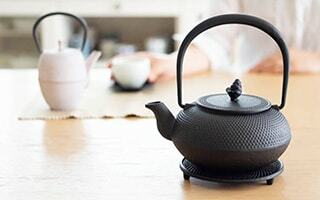 To express the beauty of material, craftsmen gave pottery wheel finishing, harmonize the material characteristics and design by make the use of hairline. 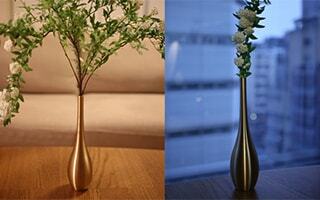 Since brass has high corrosion resistance, you can enjoy the beautiful gloss for a longtime. 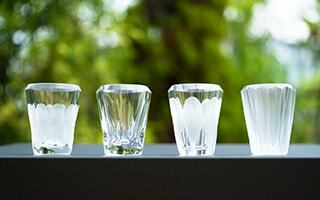 Also, the simple design fit various types of rooms such as Western-style, Japanese-style, or modern style. 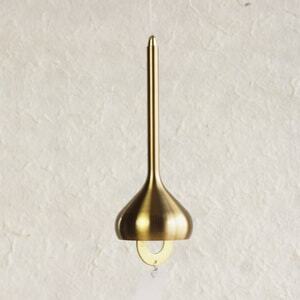 We wish that the brass wind chime will be one of the stylish interior of your room. This brass wind chime seems to be an artwork with its smooth carve and detailed workmanship. 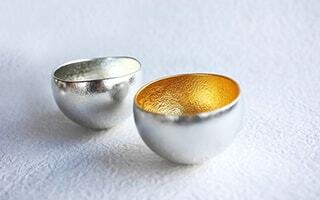 As we explained before, we have three colors, gold, silver, and pink gold. 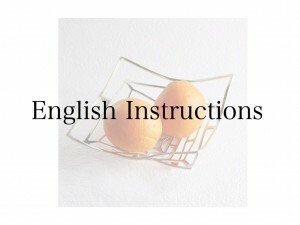 Also, we offer three types of forms, slim, onion, and horn. Slim is gentle form. Onion has cute round form like onion. Horn is straight spread form like an instrument. 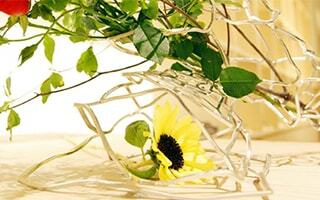 We recommend this wind chime as a good gift. 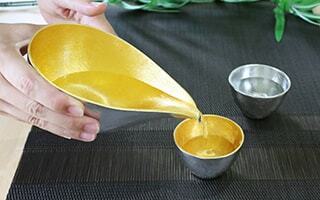 Also, when you visit or want to visit Japan, please choose these brass wind chimes as “omiyage.” Omiyage means souvenirs. Wind chime is “Furin” in Japanese. 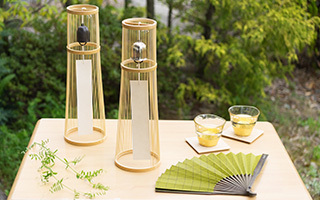 Furin is one of the special features of Japanese summer. 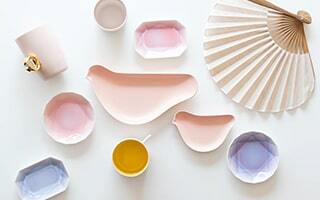 You can feel Japanese summer with your eyes and ears. Not only for summer season! Usually, in Japan, wind chimes bring the cool feeling. 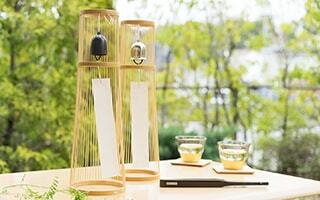 Therefore, it seems that you can enjoy the wind chime during summer only. However, we want you to enjoy the brass wind bell all season. 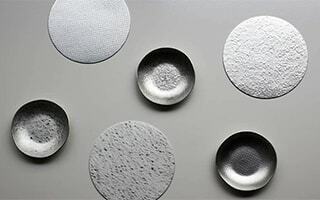 Elegant and light texture also fit for your living room as “mobile” or objet. At first sight, everyone may be surprised. 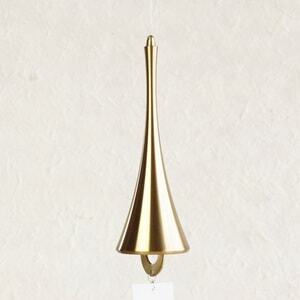 Actually, this brass wind chime is the most popular products among male customers. 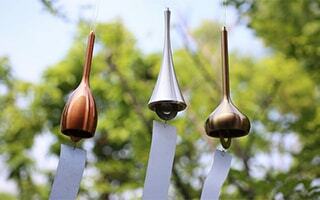 Everybody can enjoy choosing the color and form of wind bells. As you shop for the table or sofa, please enjoy choosing your best one. 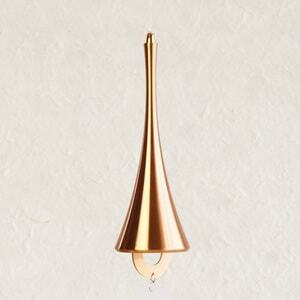 This brass wind chime is made by traditional casting skill. So, we believe that this wind chime will make sound as long as 100 years. 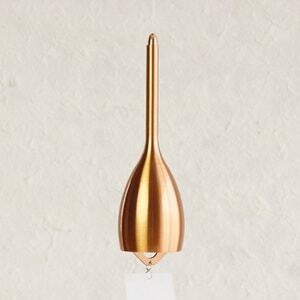 Takaoka brass wind bell shines under the sunshine, near window sill of living, or under the light of entrance. 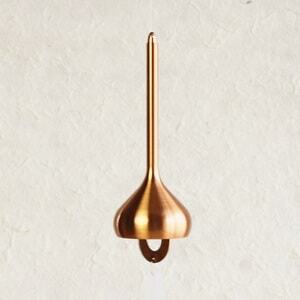 Please find your special place for this brass wind chime. 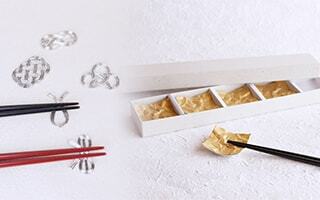 If you are interested in Japanese wind chime, we recommend another wind chime. 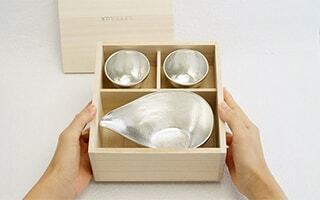 It is Tabletop wind bell from WDH. 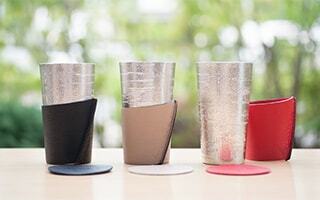 As the name explains, Tabletop wind bell has the stand for wind bell. Therefore, you can enjoy the beautiful sound in your house, too. 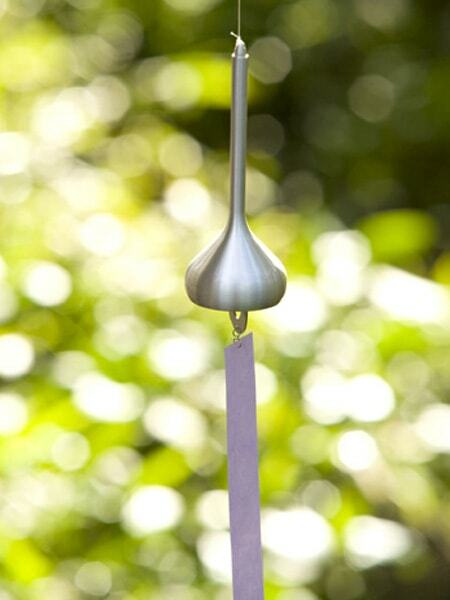 Of course, you can hang the wind chime in your garden as well. 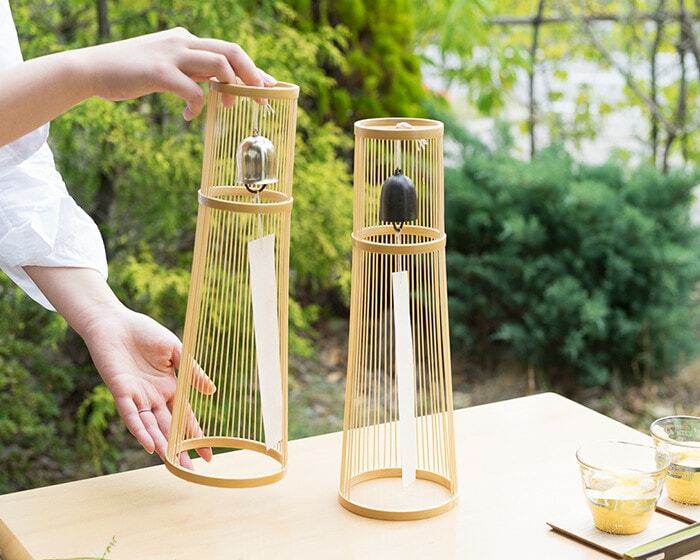 The stand of wind chime is also a Japanese traditional craft. 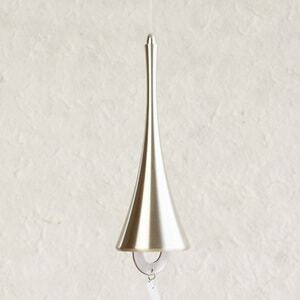 If you would like to enjoy the sound of Japanese wind bell in your house, please select the Tabletop wind bell. [WDH] This tabletop wind bell is produced with 800-years’ skill of casting. The lingering tone lasts beautifully. 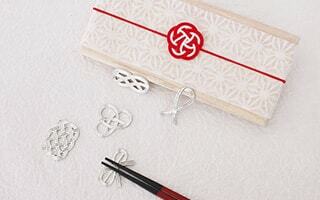 Stands for the Japanese furin is also Japanese traditional craft; “Suruga bamboo ware”. 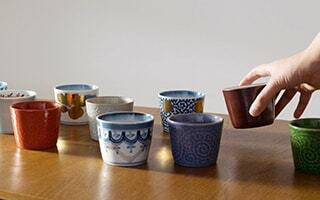 You can enjoy the gentle tone throughout the year. * When you take the product out of the box, there may be some marks on the strip of paper. The marks will disappear within a week. Do not have to worry about it. 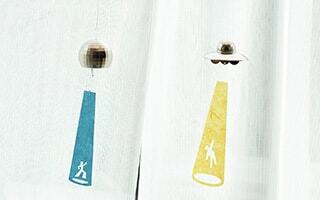 * Please wipe the dust or drop of water with a soft cloth after use. 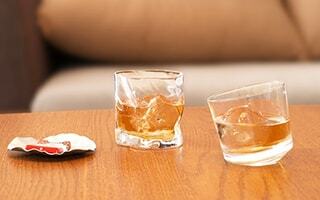 * If the dirt is noticeable, please wipe the dirt with a damp sponge or cloth using ph.-balanced detergent. Then, wipe the detergent off with dry cloth. 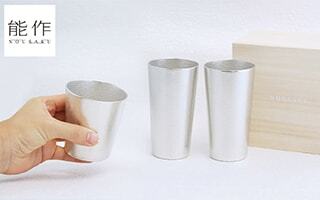 * Please do not rub the product with a metal polish. 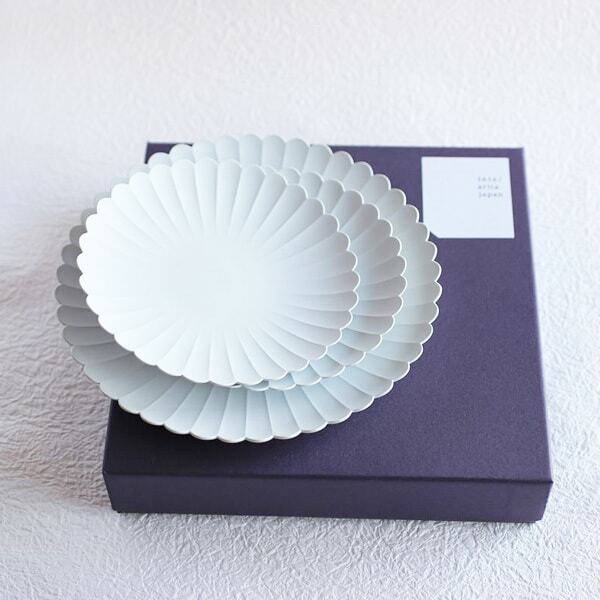 * Strip of paper is made of Japanese strong paper. However, please note that it is not a perfect waterproofing paper. * When the gale blows, we recommend that you put the wind chime inside the house.